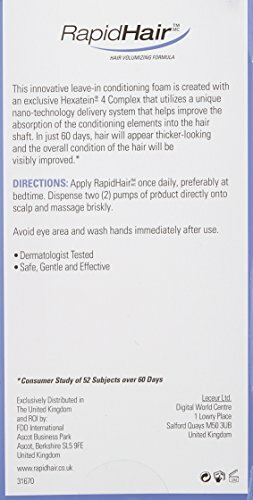 This innovative leave in conditioning foam is created with an exclusive Hexatein 4 Complex that utilizes a unique nano technology delivery system that helps improve the absorption of the conditioning elements into the hair shaft. In just 60 days, hair will appear thicker- looking and the overall condition of the hair will be visibly improved. to use: Apply once daily, preferably at bed time. 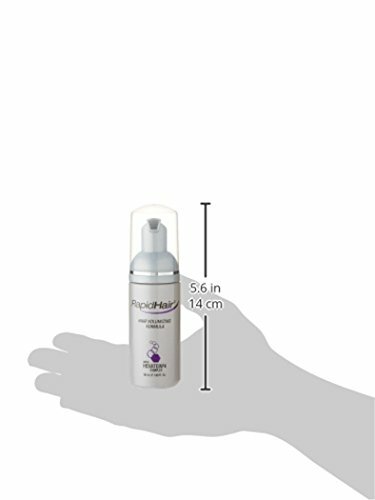 Dispense 2 pumps of product directly onto scalp and massage briskly.